The Global Water Partnership (GWP) is an organisation working with cross-border issues involving waters resources in different parts of the world. Several central and eastern European countries have come to the conclusion that their severe defects in the field of sanitation composes considerable obstacles for the implementation of sustainable social economic development. The gravest deficiencies occur in rural regions and minor municipalities. Rural populations often have no access to toilets at all and available toilets frequently discharge directly to surface- or groundwater. During GWP’s action plan ‘Sustainable Sanitation Task Force 2004’ it was decided to publish practical advice and experiences concerning rural sanitation in book form. Western European companies with relevant expertise were sought to contribute. WRS was assigned the task, resulting in the booklet ‘Sustainable Sanitation in Central and Eastern Europe – addressing the needs of small and medium size settlements’. The booklet was published in English and translated into 13 other languages. Determining which sanitation technique to use is not just a matter of selecting a suitable solution for a reasonable price but above all about meeting the requirements set by society. Open wastewater planning (OWP) focuses on the demands that sanitation systems need to fulfil and the fact that all parties involved need to agree on what these demands are, before technical solutions can be deployed. 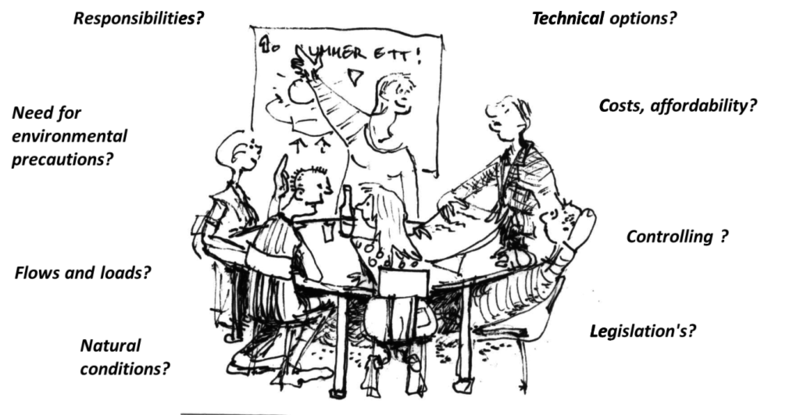 In order to find the most applicable solution, several alternatives should be studied and compared according to suitable criteria. Open Waste Water Planning is an approach that makes this possible. The method was developed by WRS employees and partners in the early 1990s and is still in use today, both nationally and internationally. OWP can be applied to find general principles and solutions during comprehensive planning phases, as well as for individual cases where the most suitable technique to meet existing requirements is to be established. WRS participated in the research and development project EcoSanRes, that was financed by the Swedish International Development Cooperation Agency (SIDA) and aimed to develop and demonstrate urine separating and non-waterborne sanitation systems in several parts of the world. 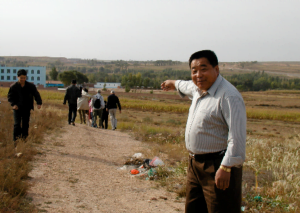 One of the more ambitious parts of the projects was to plan and build an ecologically sustainable city in Erdos in Inner Mongolia. WRS was in cooperation with Chinese partners responsible for development of greywater treatment and guidance regarding urine separation. However, during the active years of the projects, Erdos underwent rapid industrial and economic development and the city that emerged has only few similarities with the Swedish vision of a city in balance with nature and ordinary people’s economic means. WRS participated in the research and development project EcoSanRes, that was financed by the Swedish International Development Cooperation Agency (SIDA) and aimed to develop and demonstrate urine separating and non-waterborne sanitation systems in several parts of the world. The South African EcoSanRes projects WRS participated in were conducted in Kimberley (Hulls St. and Moshoehoe Ecovillage) and East London (Scenery Park). 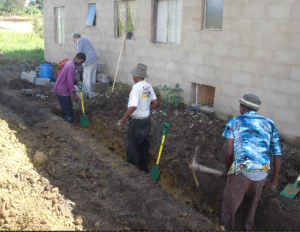 One of the most challenging tasks of the project was to develop solutions for draining and treating greywater. WRS participated to a solution with a new concept based on treating kitchen greywater with a compost filter and enhanced local resorption of all greywater. After the test phase on multiple locations our installation (Mulch filter tower and resorption bed) turned out to be one of projects most successful techniques in South Africa. In 2010 “Business Sweden: The Swedish Trade & Invest Council’ sought expertise to evaluate the feasibility of the implementation of waterborne sanitation in a number of larger cities in Botswana. WRS proposed to evaluate the issue based upon sustainability criteria from our “Open Wastewater Planning’ (OWP) approach (see link OWP). WRS and its partner “CIT Urban Water’ were granted the contract to carry out the study in close cooperation with Business Sweden’s project coordinator Sten Stenbeck. 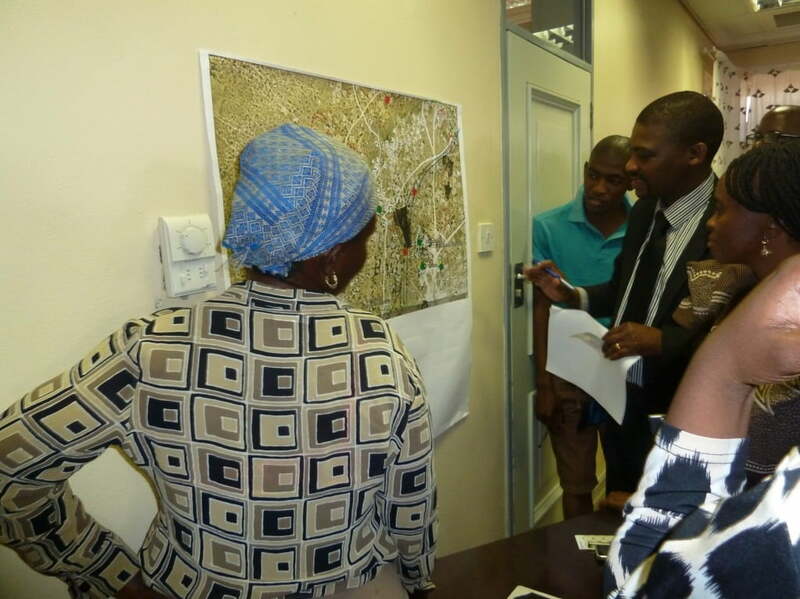 During the project phase in Botswana WRS and Urban Water hosted a number of workshops for ministry level decision-makers that aimed to compare and evaluate various propositions according to sustainability criteria drafted by the workshop participants themselves. Many of the workshop participants have now joined Botswana’s newly formed ‘Water Utilities Corporation’ (WUC) and will hopefully contribute to making Botswana’s sanitation better adapted to its prevailing water shortage. The project’s comprehensive rapport can be downloaded here.